Sol Mountain Lodge | Backcountry Lodges of B.C. 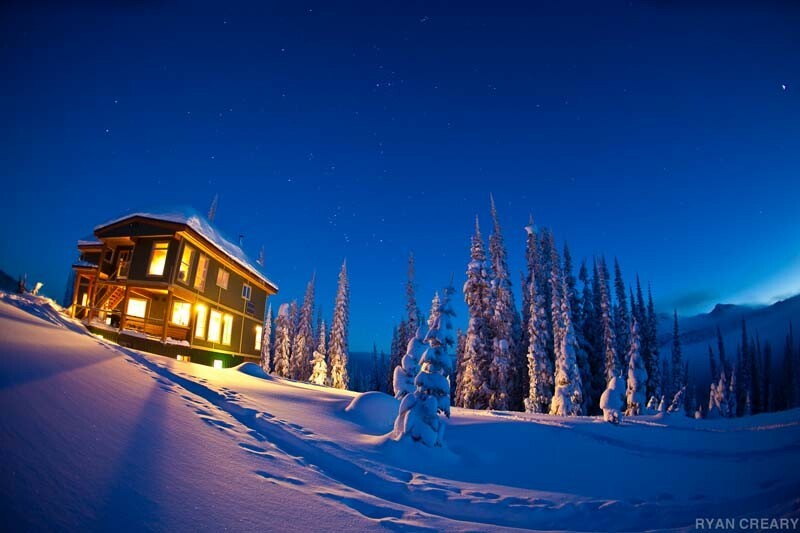 Sol Mountain Lodge | Backcountry Lodges of B.C. 30 000 acres of Monashee trees, glades, alpine peaks, ridges, and bowls, and steep chutes – your own backcountry resort three times the area of Whistler–Blackcomb. In the Monashees south of Revelstoke, Sol Mountain offers mountain living from our fully serviced lodge at 1,900 metres (6,300 ft) with complete indoor plumbing and private rooms. Easy access to XC skiing and snowshoeing, and hiking, single track mountain biking and fishing alpine lakes in the summer. Ski in small groups of four to six. Sol Mountain is open for winter December 1 to April 15, and summer July 20 to September 20. Choose from 4 to 7 night trips, reserve your room of choice. Winer flights from Revelstoke or Cherryville, 1 hr from Kelowna International Airport; Vehicle access in summer, 2.5 hr drive from Revelstoke.